The 2nd Armored Division ("Hell on Wheels") was an armored division of the United States Army. The division played an important role during World War II in the invasions of North Africa and Sicily, the liberation of France, Belgium, and the Netherlands and the invasion of Germany. During the Cold War, the division was primarily based at Fort Hood, Texas, and had a reinforced brigade forward stationed in West Germany. After participation in the Persian Gulf War, the division was deactivated in 1995. Its units were later transferred to the 4th Infantry Division. The 2nd Armored Division was formed at Fort Benning, Georgia on 15 July 1940. It was originally commanded by Major General Charles L. Scott, with Colonel George S. Patton, Jr. in charge of training. Scott was promoted to command the I Armored Corps in November of that year, which put Patton, now a brigadier general, in command of the division. The division, which in February 1942 passed over to the command of Major General Willis D. Crittenberger, served with the First, Seventh, and Ninth Armies throughout the war. The 2nd Armored was organized as a "heavy" armored division, having two armored regiments of four medium tank and two light tank battalions of three companies each. Along with the 3rd Armored Division, it retained its organization throughout World War II – the 14 other U.S. armored divisions were reorganized as "light" armored divisions, having three tank battalions, each consisting of three medium tank companies and one light tank company. Both types had an infantry component of three mechanized battalions, although the heavy divisions maintained an "armored infantry regiment" organization. The core units of the division were the 41st Armored Infantry Regiment, the 66th Armored Regiment, the 67th Armor Regiment, the 17th Armored Engineer Battalion, the 82nd Armored Reconnaissance Battalion, and the 142nd Armored Signal Company. The 82nd Armored Reconnaissance Battalion was known as the "eyes and ears" of the 2nd Armored Division. The 2nd Armored Division had three artillery battalions: (the 14th, 78th, and 92nd). The division also had support units, including the 2nd Ordnance Maintenance Battalion, 2nd Supply Battalion, the 48th Armored Medical Battalion, and a band and military police platoon. The military police and band were tasked with headquarters defense of base operations under the banner of the 502d Adjutant General Company (502d AG). General George S. Patton, Jr. November 1940 – January 1942. Pictured in 1941 at his command post near Chester, South Carolina. Under his leadership the division continued training through 1941 and participated in general maneuvers in Tennessee, Louisiana, Texas, and the Carolinas. While on these maneuvers Patton reportedly said the division would be "Hell on Wheels" when it met the enemy. The name stuck and became part of the division patch. ''Old Blood & Guts'' now Major General, 2nd Armored Division Commander. Major General Willis D. Crittenberger. 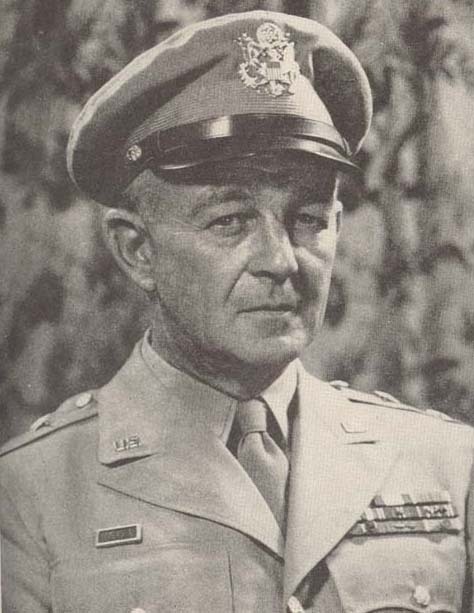 January 1942 – July 1942 (depicted as LTG in photo). During a pre-war training exercise this 2nd Armored Division M3 Lee collapsed the bridge. The crew failed to see the bridge weight limit while utilizing blackout drive. The crew is helping the local kids get across for school. M3 light tank crew and supplies at Fort Benning, Georgia, 18 Dec 1941. Elements of the division were among the first U.S. military to engage in offensive ground combat operations in the European and Mediterranean theater during World War II. The 2nd Armored Division, now commanded by Major General Ernest N. Harmon, served in North Africa along with the 1st Armored Division. They were part of the Western Task Force of Operation Torch, which landed at Casablanca in French Morocco on 8 November 1942. The remainder of Torch's American component were the 1st, 3rd, 9th and 34th Infantry Divisions. However, the 2nd Armored Division did not see much action in North Africa and instead remained in French North Africa on garrison and training duties. In April 1943 Major General Harmon relinquished command of the division to Major General Hugh Joseph Gaffey. Training in amphibious operations began in preparation for an amphibious landing at Sicily. Major General Ernest N. Harmon. July 1942 – 6 April 1943. Pictured at the time of Operation Torch. Brigadier General Allen F. Kingman. April 1943 – 5 May 1943. Kingman was the commander of the 67th Armored Regiment Combat Command, serving temporarily as the division commander when MG Harmon left to take command of the 1st Armored Division. Major General Hugh Gaffey. 5 May 1943 – 17 March 1944. He was sent to Morocco in North Africa to command Combat Command 'B' (CCB) of the 2nd Armored Division. 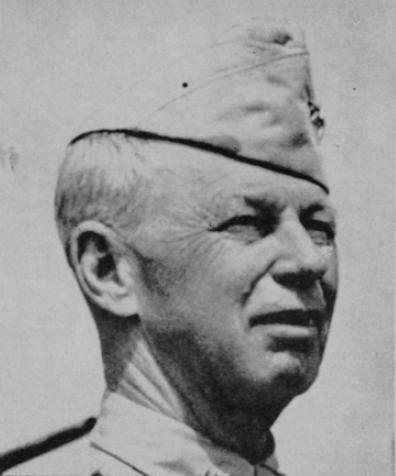 He later served as chief of staff of the II Corps, then fighting in Tunisia, under the command of Lieutenant General George S. Patton, Jr.
As the reserve force of the Western Task Force of Operation Husky, codename for the Allied invasion of Sicily, the division landed on 10 July 1943 in support of the 1st Infantry Division at the Battle of Gela. Afterwards, the division next went into action in the second landing at Licata, Sicily on 21 July following the 3rd Infantry Division's better-known earlier landing on 10 July. The 2nd Armored, operating closely with paratroopers of the 82nd Airborne Division, then fought through to the Sicilian capital of Palermo. Along the way the 2nd Armored Division captured thousands of Italian prisoners of war. The fighting in Sicily came to an end on 17 August, with the 2nd Armored Division having sustained relatively light casualties in the brief campaign, where it had gained its first Medal of Honor of World War II, belonging to Sergeant Gerry H. Kisters. During the campaign the division came under the command of the U.S. Seventh Army, under Lieutenant General George S. Patton, who had been a former commander of the division. Soon afterwards the 2nd Armored Division was sent to England, in preparation for the Allied invasion of Normandy, and remained there until June 1944. In April the division received a new commander, Major General Edward H. Brooks, a decorated veteran of World War I, replacing Major General Gaffey. "Standing Eddie" Major General Edward H. Brooks. 17 March 1944 – 12 September 1944. He played a major role in the development of the M-7 self-propelled artillery piece and the Howitzer Motor Carriage M8, both potent forces in armored tactics. Bizerte, Tunisia - M4A1 Shermans of F CO, 66th ARM RGT, awaiting embarkation for Operation Husky. 67th ARM RGT M4A1, lands during Operation Husky. Sicily, 1943. ''Cochran'' of 'C' Company, 82nd Reconnaissance Battalion. Ribera, Sicily, Jul 1943. 2nd Armored Division enters Palermo, Sicily, 22 Jul 1943. 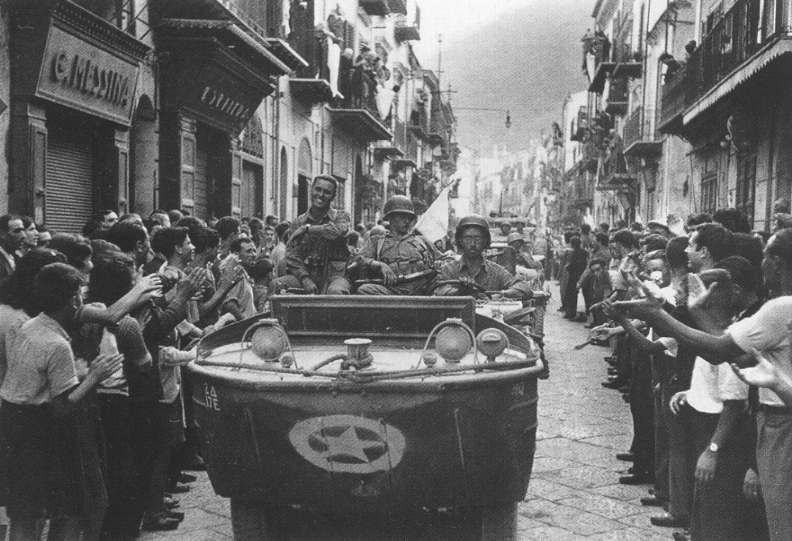 17th Engineers enter Palermo, Sicily. M7 Priest of 2nd Armored Division. Sciacca, Sicily. 2nd Armored Division M7 Priest 105mm HMC (howitzer motor carriage), Sciacca, Sicily. M4A1 ''EL DIABLO'' of 'E' Company, 67th Armored Regiment. Gela, Sicily, 1943. The division then landed in Normandy, on Omaha Beach on 9 June 1944, three days after the initial Normandy landings, and operated in the Cotentin Peninsula and later formed the right flank of the Operation Cobra assault. The division encircled the Waffen SS division Das Reich and the 17th SS Panzergrenadier Division Götz von Berlichingen around Roncey. In the process Das Reich and the 17th SS Panzergrenadier Division Götz von Berlichingen lost most of their armored equipment. It blunted the German attack on Avranches, then raced across France with the rest of the Third Army, reaching the Albert Canal in Belgium on 8 September. It crossed the German border near Sittard, 18 September to take up defensive positions near Geilenkirchen. On 3 October, the Division, now commanded again by Major General Harmon, launched an attack on the Siegfried Line from Marienberg, broke through, crossed the Wurm River and seized Puffendorf 16 November and Barmen 28 November. 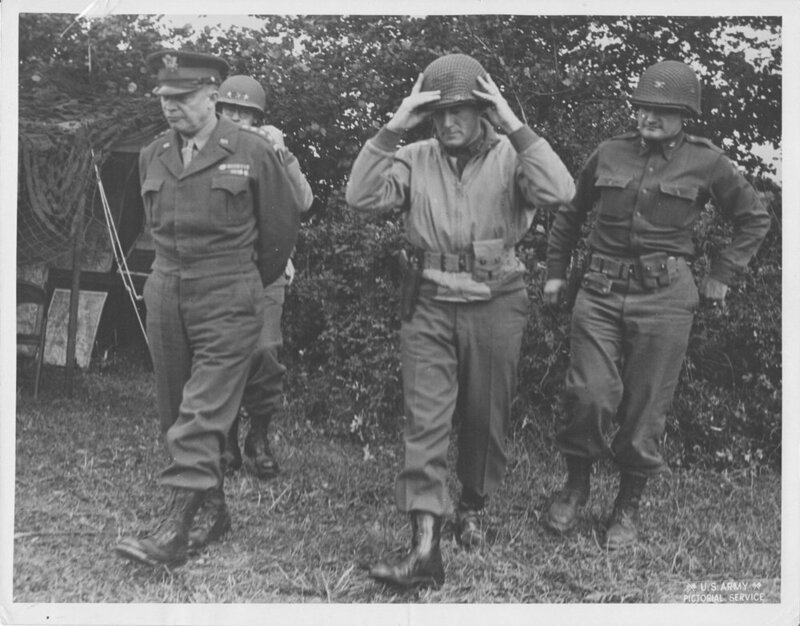 Major General Brooks walking with General Eisenhower, Lieutenant General Bradley and Colonel Palmer. The division landed on Omaha Beach on June 9, 1944. The 2nd Armored Division was committed immediately. Brooks was cited for gallantry in action during the period August 2 to 6 for making repeated visits to forward elements of his command. Exposing himself to hostile observation and fire, he expedited the commitment of the division and personally assisted in the organization of continuing attacks by subordinate units in assault on enemy strong points. That display of gallantry and leadership, without regard to his personal safety, earned for him the Silver Star. 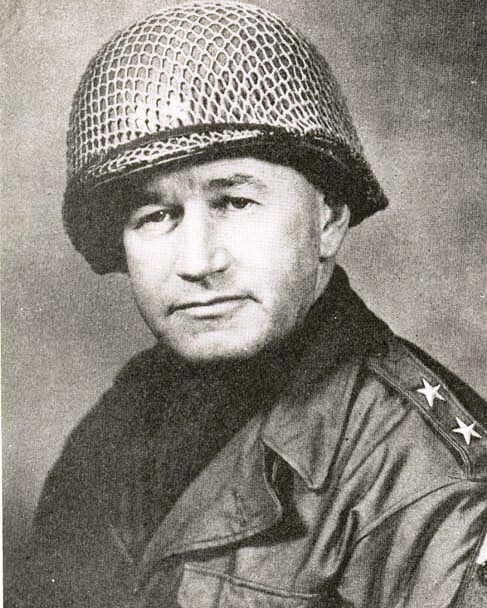 Brooks personally pushed the 2nd Armored Division into being among the first Allied divisions on Belgian soil and was the first Allied division commander to enter that country by assault. An incident during the drive into Belgium occurred when a corps staff officer came to Brooks' 2nd Armored command post and told the general that he had a mission for the division that he feared was impossible—to be in Ghent in two days. The staff officer's eyes bugged out when the general said, "Tell the corps commander it's in the bag. We'll be there." After the officer departed, Brooks turned to his chief of staff, Colonel Charles D. Palmer, and said, "Where the hell is Ghent?" They made the objective behind enemy lines and outside their operational zone, with hours to spare. "Old Gravel Voice" Major General Ernest N. Harmon. 12 September 1944 – 19 January 1945. “No damned infantry division is going to beat my outfit to the Elbe.” Major General Issac D. White. 19 January 1945 – 8 June 1945. Because of his extensive experience in tank warfare, Armor magazine dubbed him "Mr. Armor" upon his retirement. 2nd Armored Division M4 being loaded into a LST, 8 Jun 1944. Higher resolution photo of the above. "HURRICANE" receiving a new engine. M4 Sherman ''HURRICANE'' ( USA # 3033967), ‘H’ CO, 66th ARM RGT. Sherman tanks of the 67th Armored Regiment parked along a hedgerow, 1944. 82nd Armored Reconnaissance Battalion on the move. France, 1944. M7 Priest of the 14th AFA BN. Carentan, France, 18 Jun 1944. Half-tracks of Combat Command A move slowly down rue Saint Michel. ''FURY'' M4 Sherman, 66th Armored Regiment during Operation Cobra. M4A1 (76) Sherman ''DUKE'' USA # 3070582 of the 66th Armored Regiment, Coutance, France, during Operation Cobra. 2nd Armored Division M5 Stuart and M10 Wolverine of the 702nd Tank Destroyer Battalion cover approaches into Tesey Sur Vire, France, 1944. M4A1 Shermans of the 2AD. St. Jean de Daye, France, 26 Jul 1944. Armored Infantry Regiment soldiers with POWs near St. Lo, Jul 1944. Noticed the camouflaged uniforms and helmets with burlap camouflage tuffs. 41st ARM INF BN, Combat Command B, Pont Brocard, France, 28 Jul 1944. Infantry troops set up a 57 mm. gun in preparation for German counter attack. Pont Brocard, France, 29 Jul 1944. Soldiers await the order to move over hedgerow. Pont Brocard, France, 29 Jul 1944. 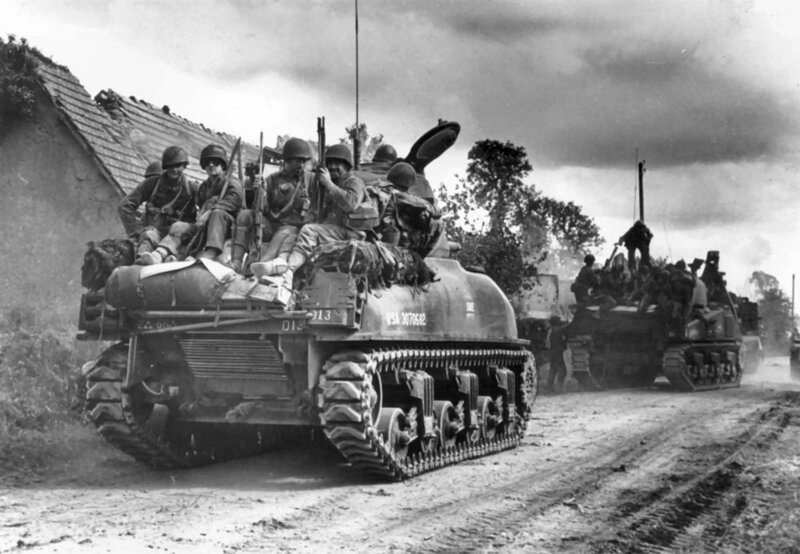 M4A1 (76) of the 67th Armored Regiment enters the village of St. Sever Calvados, France, 3 Aug 44. Soldiers from the 17th Armored Engineer Battalion, 2nd Armored Division gather round a piano for a sing-a-long in the Rue Monteglise, Barenton in Normandy. 10 AUG 1944. Colorized by Jared Enos. Infantry and a half-track of the 41st Armored Infantry Regiment enter the village of Lonlay L'Abbaye, France, 14th Aug 1944. 2nd Armored Division M4A1 crosses the central bridge of Lonlay L'Abbaye, 15 Aug 1944. 66th ARM RGT, M4 composite hull, crossing small gully on a very rickety looking bridge, Sep 1944. Sherman tank of the 66th Armored Regiment, 2nd Armored Division. M4 Sherman of 1st Battalion, 66th Armored Regiment, 2nd Armored Division. The division was holding positions on the Roer when it was ordered to help contain the German Ardennes offensive. The division fought in eastern Belgium, blunting the German Fifth Panzer Army's penetration of American lines. The division helped reduce the Bulge in January, fighting in the Ardennes forest in deep snow, and cleared the area from Houffalize to the Ourthe River of the enemy. The German 2nd Panzer Division was on its original mission to the Meuse River. Mechanized units of this Panzer Division ultimately ran out of fuel at Celles, where they were destroyed by the U.S. 2nd Armored Division and the British 29th Armoured Brigade. After a rest in February, the division, now commanded by Major General Isaac D. White, drove on across the Rhine on 27 March, and was the first American division to reach the Elbe at Schonebeck on 11 April. It was halted on the Elbe, 20 April, on orders. In July the division entered Berlin—the first American unit to enter the German capital city. During World War II, the 2nd Armored Division took 94,151 POWs, liberated 22,538 Allied POWs, shot down or damaged on the ground 266 enemy aircraft, and destroyed or captured uncountable thousands of enemy tanks and other equipment and supplies. Under radio silence, MG Harmon's division made an epic 113 mile road march on treacherous ice-covered roads to engage German forces during the Battle of the Bulge, ultimately destroying its counterpart - the 2nd Panzer Division. 2nd Armored Division M4A3E2 Jumbo near Manhay during the Battle of the Bulge. 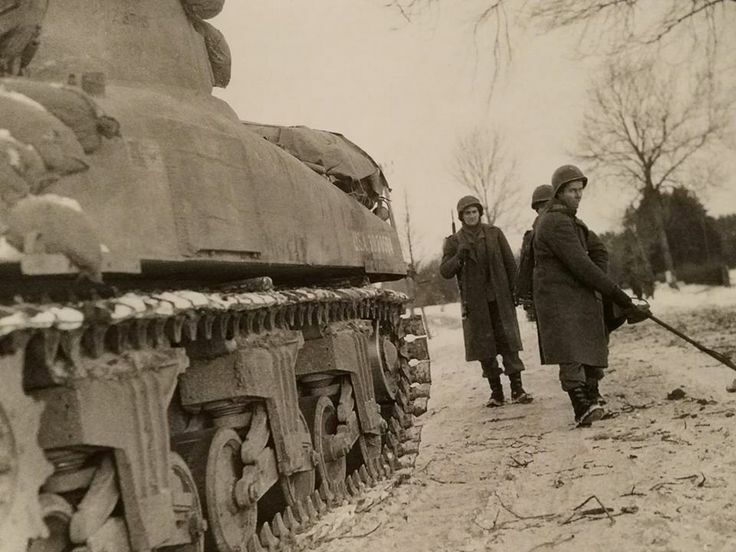 2nd Armored Division Sherman passes a German Panther tank, Grandmenil, Belgium. 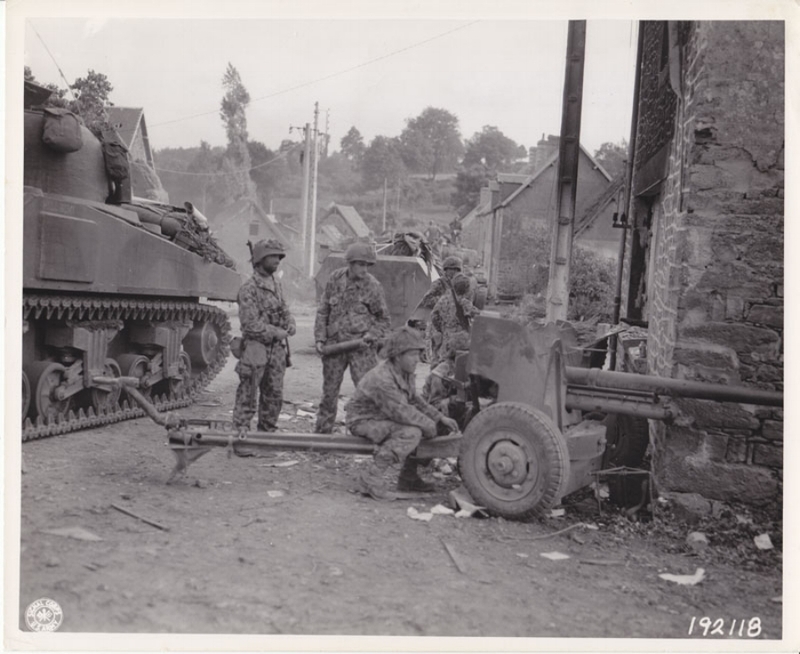 2nd Armored Division engineers near Houffalize, Belgium. M4A1 (76)W from the 2nd Armored Division carrying troops of 291st Infantry Regiment, 75th Infantry Division, 27 Dec 1944. M4A1 (76) of Command Command Reserve, 3 Jan 1945. 2nd Armored Division infantrymen with captured German Panzerfausts searching the woods in the vicinity of Lemgo, Germany, 1945. 2nd Armored Division GI's guarding German prisoners. Lemgo, Germany. Apr 1945. 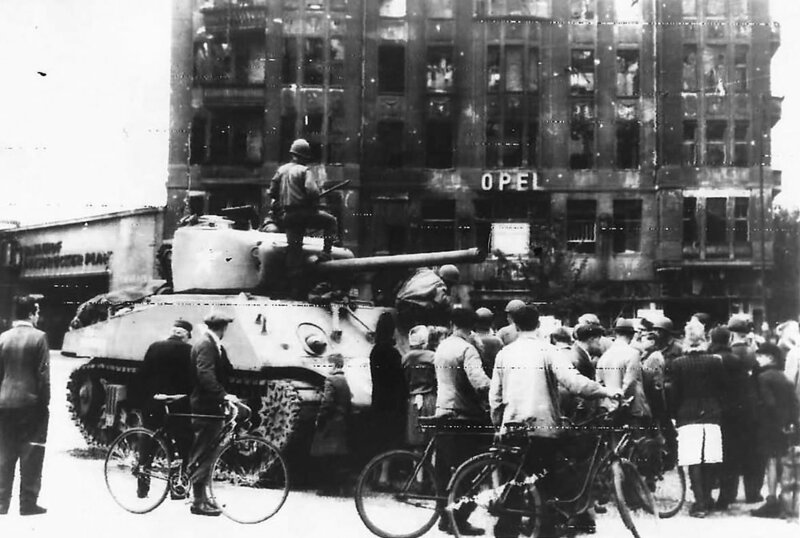 2nd Armored Division enters Berlin, Jul 1945. 2AD M4 Tank at Opel Hotel in Berlin, Jul 1945. Secretary of War Henry Stimson inspects the 2nd Armored Division in Berlin during the Potsdam Conference. After a brief period of occupation duty, the division returned to Fort Hood, Texas, in 1946 to retrain and rebuild. At Fort Hood, the Second Armored Division furnished thousands of trained replacements to units serving in the Korean War. In 1951 the division returned to Germany to serve for six years in support of the North Atlantic Treaty Organization, then returned to Fort Hood in 1957. The First Battalion, Fiftieth Infantry; Second Squadron, First Cavalry; First Battalion, Fourteenth Field Artillery; and First Battalion, Ninety-second Field Artillery fought in the war in Vietnam, but not the division as a whole. The majority of the division would spend much of the next 35 years based at Fort Hood and the division remained on active service during the Cold War. Its primary mission was to prepare to conduct heavy armored combat against Warsaw Pact forces in defense of NATO. The division formed a key component of the U.S. military's plan to move 'ten divisions in ten days" to Europe in the event of a Soviet threat to NATO. The division practiced this task numerous times during Exercise Reforger from 1967 to 1988. The division sent brigades to participate in exercises in Germany from 1973 through 1979, and in 1987 the division was engaged in the largest deployment to Europe since World War II as a part of the Third Corps exercise "Reforger 87" to demonstrate the ability to deploy and fight in support of NATO. However, with the end of the Cold War, the U.S. military began to draw down its combat units. The 2nd Armored Division was scheduled to inactivate in the spring of 1990. 1946 - the entire present for duty strength of the 2nd Armored Division. See story above. Major General Edwin H. Burba, division commander during Exercise Big Lift (Oct 1963). It was the largest movement of troops by air to that date. Weapons, tools and equipment awaiting 2AD arrival in Germany. 2nd Armored Division troops move out from a pre-positioned equipment location in Germany. In 1975, the 2nd Armored Division's third brigade forward deployed to West Germany and was assigned to NATO's Northern Army Group (NORTHAG). The brigade received additional aviation, engineer, military intelligence, medical, and logistics support units and was re-designated 2nd Armored Division (Forward). The unit's primary mission in case of conflict with the Warsaw Pact was to either secure airfields and staging areas for the deployment of III Corps from the United States, or to deploy directly to the Inter-German Border (IGB) and establish a blocking position as part of a NATO combat force. From 1975 through 1978, the Brigade HQ was located at Grafenwöhr, along with the rotating armor and artillery battalions, and the supporting engineer and cavalry units. Two rotating infantry battalions were based at Hohenfels and Vilseck. The six-month rotations continued until 1978, immediately prior to the move to permanent facilities in northern Germany. 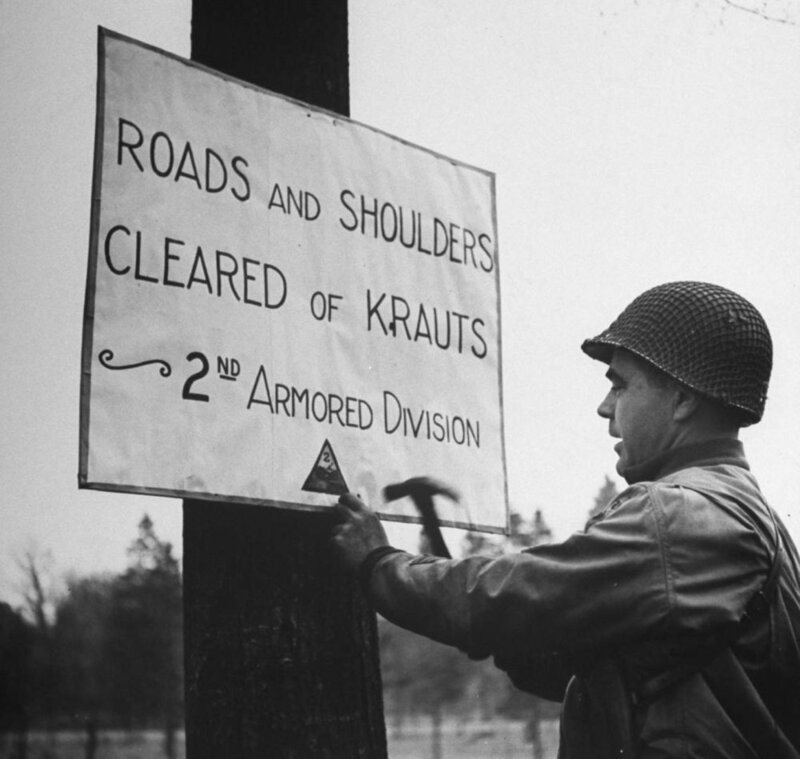 2nd Armored Division (Forward) was based at a new military facility near the village of Garlstedt just north of the city of Bremen. The facilities cost nearly $140 million to construct, half of which was paid for by the Federal Republic of Germany. The brigade had approximately 3,500 soldiers and another approximately 2,500 family dependents and civilian employees. The German government constructed family housing in the nearby city of Osterholz-Scharmbeck. 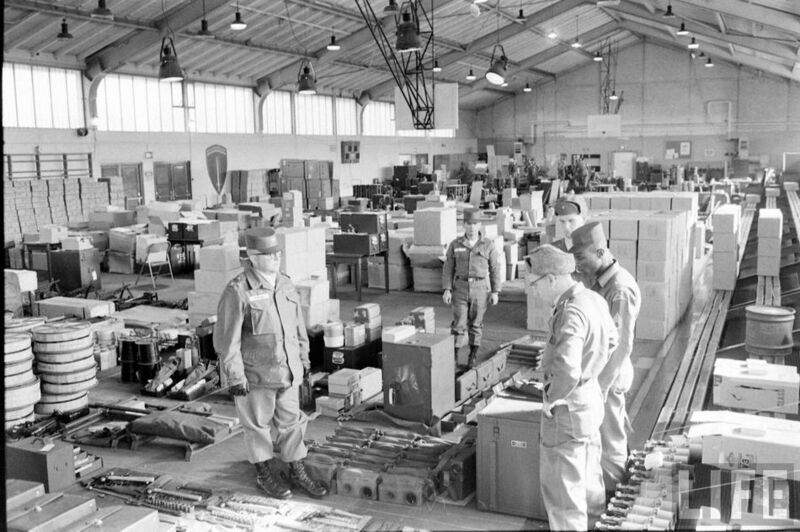 In addition to troop barracks, motor pools, an indoor firing range, repair and logistics facilities, and a local training area, facilities at Garlstedt included a troop medical clinic, post exchange, library, movie theater, and a combined officer/non-commissioned officer/enlisted club. The division’s soldiers and family members received radio and TV broadcasts from The American Forces Network (AFN) – Europe via the AFN Bremerhaven affiliate station located in the nearby port city of Bremerhaven. In April 1986, a Burger King restaurant opened on the kaserne. The brigade was officially designated as 2nd Armored Division (Forward) during ceremonies at Grafenwöhr, FRG on 25 July 1978. The Garlstedt facilities were officially turned over to the United States by the German government in October. At that time the Garlstedt kaserne (camp) was named after General Lucius D. Clay, revered by the German people for his role as the American military commander following World War II. His son, a retired U.S. Army major general, attended the ceremony. The brigadier general in charge of 2nd Armored Division (Forward) had a unique command. In addition to command of the heavy brigade, he also functioned as the Commander, III Corps (Forward), headquartered in Maastricht, Netherlands, and as commander of all US Army forces in Northern Germany, including the military communities of Garlstedt and Bremerhaven. In the event of the deployment of III Corps and/or the 2nd Armored Division from the United States, the division commander would revert to his job as assistant division commander for operations of 2nd Armored Division. This contingency was practiced during REFORGER exercises in 1980 and 1987. As a result of this varied and demanding job, command of the 2nd Armored Division (Forward) was considered a plum assignment for armor branch brigadier generals, on par with perhaps only the Berlin Brigade for high visibility and potential for advancement to higher rank. Brigadier generals who held the position included James E. Armstrong, George R. Stotser, Thomas H. Tait, William F. Streeter, John C. Heldstab, and Jerry R. Rutherford. The brigade's subordinate combat units initially consisted of the 3rd Battalion of the 41st Infantry Regiment, 2nd Battalion of the 50th Infantry Regiment, 2nd Battalion, 66th Armored Regiment (Iron Knights), 1st Battalion, 14th Field Artillery Regiment, and C Troop, 2nd Squadron, 1st Cavalry Regiment. In October 1983, as part of the army's regimental alignment program, 2/50 Infantry was re-designated as 4/41 Infantry and 1/14 Field Artillery as 4/3 Field Artillery. Other brigade subordinate units eventually included the 498th Support Battalion, D Company, 17th Engineer Battalion, and the 588th Military Intelligence Company. The brigade also had a military police platoon and an aviation detachment. In 1986, under the army's COHORT unit manning and retention plan, 3/41 IN returned to Fort Hood and was replaced by 1/41 IN. In 1988, 4/41 IN returned to Fort Hood, Texas and was replaced by 3/66th AR (Burt's Knights, named for Captain James M. Burt who was awarded the Medal of Honor as a company commander in the 66th Armored Regiment in the Battle of Aachen during World War II). Now an armor-heavy brigade, 2nd Armored Division (Forward) fielded 116 M1A1 Abrams tanks and nearly 70 M2/3 Bradley Fighting Vehicles. The brigade initially deployed to Germany with the M60 Patton tank and the M113 armored personnel carrier. 4/3 FA had the M109 155 mm self-propelled howitzer. In 1984, 2/66 AR transitioned to the M1 Abrams main battle tank. In 1985, 3/41 IN and 4/41 IN transitioned to the M2 Bradley Fighting Vehicle; also, C TRP, /2-1 CAV was replaced by an air cavalry troop, D TRP 2/1 CAV, armed with AH-1S Cobra attack helicopters. The division participated in numerous major NATO training exercises, including "Trutzige Sachsen" (1985), "Crossed Swords" (1986) and the "Return of Forces to Germany" (REFORGER) (1980 and 1987). Division subordinate units used the NATO gunnery and maneuver ranges at the Bergen-Hohne Training Area for gunnery and maneuver training and each year the division as a whole deployed south to Grafenwöhr and Hohenfels (both in Bavaria) training areas for annual crew and unit gunnery and maneuver qualification. 2nd Armored Division (Forward) developed a reputation for excellence during these deployments, particularly in tank crew gunnery. Tank companies from 2/66, and later 3/66 AR competed in the bi-annual NATO tank gunnery competition, the Canadian Army Trophy, or "CAT," as part of the NORTHAG team. C Company, 2/66 AR first contested for the trophy in 1983. And while a West German tank platoon won the competition that year at Bergen Hohne, 2/66 surprised the competition by performing well with its old M60A1 tanks, which used optical rangefinder technology from the World War II era. This showed the value of local course knowledge over pure technology. C Company, 2/66 contested for the trophy again in 1985, and D Company, 2/66 was part of the NORTHAG team in 1987. In 1989 C CO, 3/66 Armor won the competition outright. Participation in "CAT" was a source of great pride among the tank crews of 2AD (FWD). The division had a formal partnership with Panzergrenadierbrigade 32, a Federal Republic of Germany Bundeswehr mechanized infantry brigade headquartered in nearby Schwanewede. The division also had informal relationships with Dutch, Belgian, and British NORTHAG forces, often conducting joint training activities at Bergen Hohne. The invasion of Kuwait by Saddam Hussein in August 1990 caught the division in the midst of the post-Cold War drawdown of the U.S. military. The division's 2nd Brigade could not be deployed as a whole, it was in the middle of inactivating. Some units like A BTRY, 1/92 FA, a MLRS unit, as well a couple of others were attached to the Division's 1st brigade, known as the "Tiger Brigade", for the war, and was commanded by Colonel John B. Sylvester, deployed to Saudi Arabia independently and participated in Operation Desert Storm by providing heavy armor support for United States Marine Corps (USMC) forces in their attack into Kuwait. It was spearheaded by 3/41 Infantry's Straight and Stalwart Battalion Task Force. It served at the Battle of Kuwait International Airport. The Tiger Brigade was credited with destroying or capturing 181 enemy tanks, 148 APCs, 40 artillery pieces, 27 AA emplacements, and 263 Iraqi soldiers killed with an additional 4,051 captured. The division's 3rd brigade, based in Germany, deployed to Saudi Arabia in the fall of 1990 and acted as the third maneuver brigade of the 1st Infantry Division from Fort Riley, KS. One of the brigade's battalion task forces, Task Force 1/41 Infantry, was the first coalition force to breach the Saudi Arabian border on 15 February 1991 and conduct ground combat operations in Iraq engaging in direct and indirect fire fights with the enemy on 17 February 1991. It was involved in a six-hour battle to clear Iraq's initial defensive positions. Initially it was tasked with performing counter reconnaissance and reconnaissance missions against Iraqi reconnaissance units. The brigade served at the Battle of 73 Easting with the 1st Infantry Division (Mechanized) along with the 2nd Armored Cavalry Regiment. They were responsible for destroying the Iraqi 18th Mechanized and 9th Armored Brigades of the Republican Guard Tawakalna Mechanized Infantry Division and the Iraqi 26th Infantry Division. They played a key role in the destruction of the 12th Armored Division destroying no less than 80 combat vehicles. The brigade destroyed 60 Iraqi tanks and 35 infantry vehicles along the IPSA pipeline. This is known as the Battle of Norfolk. By dawn of the third day of the ground campaign, the 2nd Armored Division (Forward) had a hand in the destruction of four Iraqi tank and mechanized brigades and two divisions. Between the cease-fire and the official end of the war in April 1991, 2nd Armored Division (Forward) took part in security operations to ensure peace in Kuwait. The division then redeployed to Saudi Arabia, where some of its soldiers established and ran three refugee camps near Raffia, Saudi Arabia. Division relief workers processed over 22,000 Iraqi refugees between 15 April and 10 May. After turning the camps over to the Saudi Arabian government, the unit redeployed to Germany. The division's attack helicopter battalion, 1st Battalion, 3rd Aviation Regiment, deployed from Fort Hood to Saudi Arabia in the fall of 1990 attached to and with support from the 1st Cavalry Division (also based at Ft. Hood). The battalion was equipped with McDonnell Douglas AH-64 Apache attack helicopters. The battalion participated in many air strikes along the border region during the air portion of the campaign. The unit provided covering missions when the ground forces advanced into Iraq. 1st Battalion, 3rd Aviation Regiment was pulled back into Saudi Arabia after the cease fire, with two squads staging in Kuwait to proved refueling and rearming services for battalion aircraft if hostilities resumed. The unit returned to Fort Hood, Texas in April 1991 and continued the inactivation that was interrupted when Iraq invaded Kuwait. The unit was inactivated in 16 September 1991 and the regimental flag transferred to sister unit 3rd Battalion, 3rd Aviation Regiment based in Germany. The unit was transferred as a whole to Fort Campbell, KY in August 1991 and became the 2nd Battalion of the 101st Aviation Regiment (part of the 101st Airborne Division). After the Gulf War the division went through a series of inactivations and redesignations. Due to the restructuring of the U.S. Army after the end of the Cold War, the division was ordered off the active duty rolls, ending more than 50 years of continuous service. On return to Fort Hood in 1991, the Tiger Brigade and 1st Battalion of the 3rd Aviation Regiment, all that remained of the U.S.-based division, were re-designated as the 3rd Brigade, 1st Cavalry Division, and the 2nd Battalion, 101st Aviation Regiment respectively. On 1 September 1991, 2nd Armored Division (Forward), in Germany, officially became 2nd Armored Division after main elements of 2nd Armored Division at Fort Hood inactivated. SGT Michael L. Anderson was the last member of the 2nd Armored Division. He was a 74F who was in charge of cutting orders for all remaining members of 2nd Armored Division HQ. On 1 September 1991, he cut the final orders for himself and his commanding officer. Over the summer and fall of 1992, 2nd Armored Division was inactivated. Lucius D. Clay Kaserne was turned back over to the German government and was later to become home of the German Army Logistics and Supply School (Logistikschule der Bundeswehr) as well as the seat of General der Nachschubtruppe. In December 1992, the 5th Infantry Division (Mechanized) at Fort Polk, Louisiana, was redesignated as the 2nd Armored Division. In 1993, the unit moved to Fort Hood. In December 1995, the 2nd Armored Division was again redesignated, this time as the 4th Infantry Division (Mechanized), stationed at Fort Carson, CO. 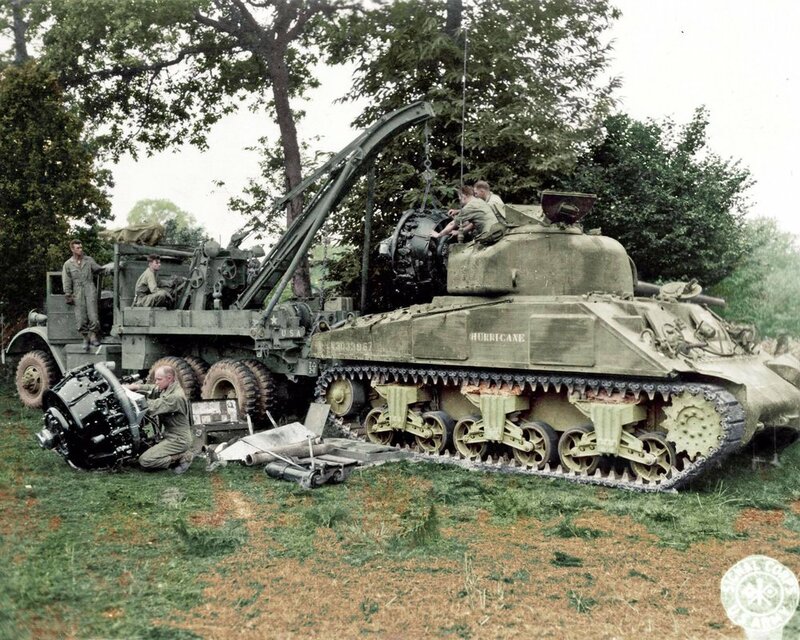 This formally ended the 2nd Armored Division's 55-year history. Several units historically associated with the 2nd Armored Division, including battalions from the 66th Armored Regiment and the 41st Infantry Regiment, currently serve as part of the 4th Infantry Division at Fort Carson, Colorado, the 1st Armored Division at Fort Bliss, Texas, and the 172nd Infantry Brigade at Grafenwöhr, Germany. Though it was inactivated, the division was identified as the fifth highest priority inactive division in the United States Army Center of Military History's lineage scheme due to its numerous accolades and long history. All of the division's flags and heraldic items were moved to the National Infantry Museum at Fort Benning, Georgia following its inactivation. Should the U.S. Army decide to activate more divisions in the future, the center will most likely suggest the first new division be the 7th Infantry Division, the second be the 9th Infantry Division, the third be the 24th Infantry Division, the fourth be the 5th Infantry Division and the fifth be the 2nd Armored Division.